Once you have received a satisfactory Tender from a builder you are happy to work with, Jonathan will finalise the contract documentation and act impartially in administering the building contract between you (the Client) and the builder (the Contractor). 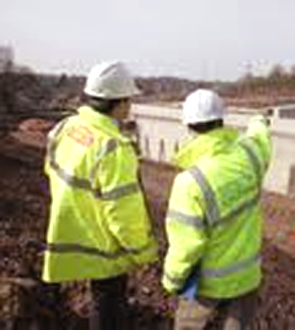 Regular site inspection visits will be carried out by Jonathan and payment certificates issued, helping to ensure that the Contractor is carrying out the works within the agreed time-scale and ensuring you only pay for work that has been properly carried out. Jonathan will also ensure that any necessary changes to the scope of work or specification are handled clearly and fairly.